In case you haven't seen it yet, the Banksy B Movie is online, a 14 minute documentary about the 'most famous street / graffiti artist in the world'. The original film was removed / deleted from Youtube, but it would appear someone else also managed to upload a copy of the film which is we have shared below. 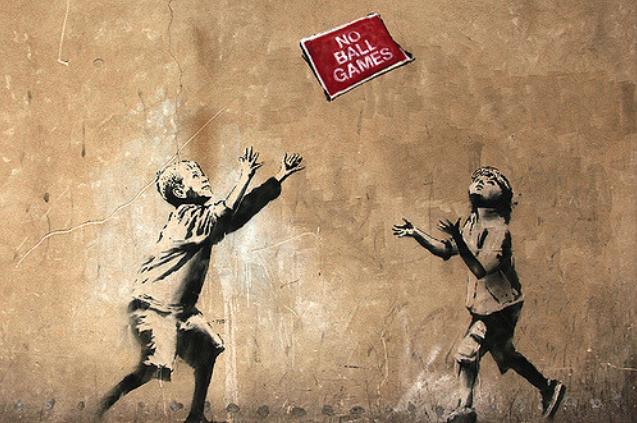 Fresh new Banksy works appear in London at the Barbican. Banksy & The Queen's Diamond Jubilee.